What are the key differences between Razer Syanpse 2.0 and Razer Synapse 3? Razer Synapse 3 is the third iteration of our unified hardware configuration tool. It has been redesigned from the ground up with an all new user experience, modular installation capabilities and many more features. Why is Razer Synapse 3 in BETA? Razer Synapse 3 will remain in beta while we continually add support for legacy devices and gather feedback from the community about new feature set, UI and until we reach the final state. However, the software still goes through the same testing rigors as Synapse 2.0 (and more) and is not expected to be error-prone or act erratically. If you encounter any bugs with the software, please report them using the Beta Feedback button on the dashboard or via customer support as seen here. What products are supported by Razer Synapse 3? Please visit https://www.razerzone.com/synapse-3 for the current list of Razer products supported on Razer Synapse 3. Where can I download the beta version of Razer Synapse 3? Please visit https://www.razerzone.com/synapse-3 to download the beta version of Razer Synapse 3. When using the Razer Atheris, why can't I open Razer Synapse 3? When I try to open Synapse 3, I get a "Failed to Start" error. Please be sure your OS (Operating System) and Razer Synapse 3 are up to date with all the latest updates. To obtain all the latest updates to Synapse 3 please unplug any Razer peripherals from your system. Once your devices are unplugged you should be able to open Razer Synapse 3 and you will be able to follow the steps below. 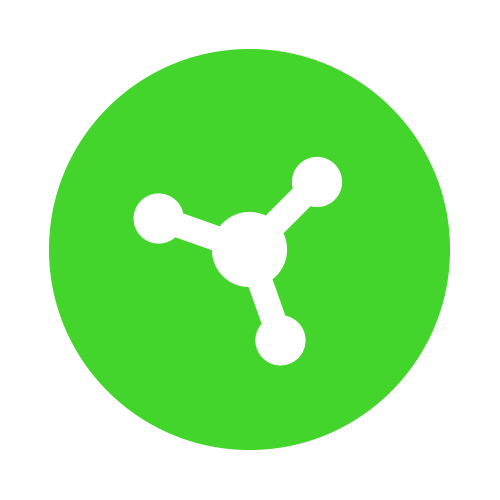 If you are not able to open Razer Synapse 3, please uninstall Synapse 3 from your system and reinstall the latest version of Synapse 3 here. From there, please click on the "gear icon" in the upper right corner of Razer Synapse 3. Then select "Check for Updates". Hybrid storage is a new feature that is being introduced with Razer Synapse 3. It gives users the ability to store a select number of profiles from the cloud and onto the device's on-board memory. Hybrid storage is available only on select devices that support the feature. Will my existing Razer product have hybrid storage functionality with Razer Synapse 3 Beta? Only select devices that have on-board storage capabilities will be compatible with Razer hybrid storage. As of now, those devices are only the Razer Basilisk, Mamba HyperFlux, Naga Trinity, Lancehead and Lancehead Tournament Edition. When will other devices be supported? Subsequent updates to Razer Synapse 3 will have more device support that will be rolled in phases. We are continually working on adding support for new and legacy devices, which will be rolled out in phases over the coming months. Do I need to restart my PC for every driver update? No, you won't need to restart your PC for every driver update unless the update makes changes to the Windows Kernel. Will I be able to use Razer Synapse 3 while there is a driver update? Yes, the update manager of Razer Synapse 3 will not affect the usage of Razer Synapse 3 functionality. Razer Central is the single source for you to manage all your Razer applications and services. Razer Central is accessed from the taskbar of your Windows PC. Will Synapse 3 work on Mac? As of now, Razer Synapse 3 will only work on the PC. Can I have two(2) of the same products configured separately on Synapse 3? No. If two(2) of the same product is connected concurrently, Synapse 3 will only allow configuration for the first detected product. *This is the same behavior as Synapse 2.0. Can I use Synapse 3 when I am not connected to the internet? Yes, you can use Razer Synapse 3 without any internet connectivity provided that you have a previous session that has been logged in with your Razer ID. Does Synapse 3 have any cost or subscription fee? No, Razer Synapse 3 is a free-to-use software without any subscriptions tied to it, it will always be free-of-charge. How do I submit feedback to Razer on Synapse 3 improvements? You can submit feedback directly from your profile across all Razer software applications. How is Chroma studio different from the Chroma configurator? Chroma studio is the new lighting configuration tool that has been introduced with Razer Synpase 3, it is the replacement to the advanced Chroma configurator and allows lighting configuration of multiple devices at once. Chroma Apps are those programs and game integrations that have been developed using the Razer Chroma SDK. The Chroma Apps tab allows you to manage each program and set their priority levels. Will Chroma game integrations work on Synapse 3? Yes, all Razer Chroma-enabled games will work with Razer Synapse 3 as the Chroma SDK runtime files are a part of the package. Can I run Synapse 2.0 and 3 at the same time? Yes, you can run Razer Synapse 2.0 and Razer Synapse 3 at the same time. However, it is recommended that you use only one at a time. If a device is supported by both applications, then it will only be visible on Razer Synapse 3. Chroma effects are Chroma lighting profiles that can be created using Chroma studio. Chroma effects will be shareable and work across multiple devices. Can I import / export Chroma effects to other devices? Yes, Chroma effects can be shared across multiple devices. Can I use lighting profiles from the Chroma workshop on Chroma studio? Future updates will allow existing .rzchroma lighting effects can be used on Chroma studio for compatible devices. Do I still get tournament drivers on Razer Synapse 3? No, tournament edition drivers will not be available on Razer Synapse 3. This is because of the availability of on-board device storage and access to Razer Synapse without the need of an internet connection. Why can't I see live lighting previews on Chroma studio? Live lighting previews is currently unavailable on the beta. It will be added in future updates. Why did I log out of Synapse 3 when I logged out of Razer Cortex? Since Razer Synapse 3 and Razer Cortex use the same account credentials, once you log out of one(1) software the other will be required to be signed in again.